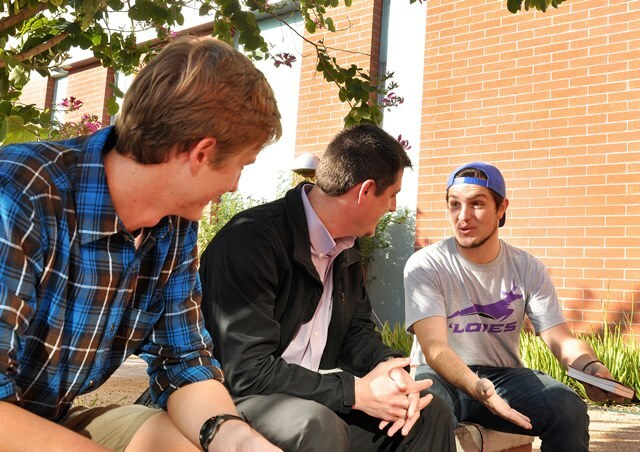 If there was a common thread this semester on the campus of Grand Canyon University, where its eight colleges offered more than 1,700 courses to 10,638 traditional students, it was this: Making a Difference goes hand-in-hand with Finding your Purpose. It was the theme of Chapel on Monday mornings, when pastors from area churches spoke passionately about the heavenly and earthly rewards of doing work that matters. It was a driver in the University’s unprecedented partnership with Habitat for Humanity to renovate hundreds of homes in its west Phoenix neighborhood. It is front and center in GCU’s new STEM and worship arts programs, which will prepare students to hit the ground running as professionals in science, technology, engineering, math and music jobs. Making a Difference also was on the hearts and minds of GCU’s 145 ground full-time faculty and 640 adjunct faculty members from the time they handed out their course syllabi in August to today, as many watch their students walk in the University’s first winter commencement. All deserve appreciation and thanks, Radda said. As the semester ends and a new academic session with new students, courses and programs begins in little more than three weeks, here are seven faculty members who are Making a Difference and making us proud. Charpentier, a former Southern Baptist pastor from Louisiana, moved his wife and two sons to Arizona last summer to join the College of Theology. He teaches two sessions of Christian Worldview, three sessions of Spiritual Formation for Christian Leadership and will add Communication in Ministry next semester. “I see teaching as a way to invest in others so that we can make a sustaining, strategic impact for the Gospel,” said Charpentier, 42. His teaching ministry extends outside the classroom and includes his wife, Wendy. The couple hosts students for Bible studies, game nights, food and fellowship at their Goodyear home every Sunday evening. This semester, they dove deep into the first chapter of Philippians. “The key theme is living with Gospel joy and unity in the midst of suffering for God’s glory and the good of others,” Charpentier said. He holds tutoring sessions with students, prays continuously with and for them, and is interested in guiding future pastors. “Pastors struggle with approval of others and how do we rest in God, sometimes making decisions that other people won’t like,” Charpentier said. Sophomore Emmett Foster, a Christian Studies major who plans to be a missionary, said Charpentier’s impact on his life, in just three short months, has been huge. Charpentier didn’t become a Christian until he was a teenager after he and his pastor began talking about God’s call to ministry. The pastor “poured six years of his life into mine,” said Charpentier, who accepted Jesus into his life, became a pastor and five years ago earned a Doctor of Ministry from New Orleans Baptist Theological Seminary. Kristen Bright’s compass is God’s providence. It has kept her on course as a nursing student, an Air Force nurse, a travel nurse, a hospital nurse, a nurse educator and now as director of the College of Nursing and Health Care Professions’ Bachelor of Science in Nursing Pre-licensure program. There, she manages the professional development of more than 200 full-time and adjunct faculty members and 700 students. “I can’t imagine doing anything else,” said the 40-year-old dynamo, wife and mother of two young children. But flash back to when she was a 17-year-old Catholic school girl in Chicago who wanted to go to a coed university. Her parents couldn’t afford tuition other than community college, so she applied for a scholarship through the Air Force Reserve Officer Training Corps. Forced to prioritize on the 30-page application form three career choices, she chose (1) meteorology, (2) computer science and (3) nursing. Bright cried when she got a full-ride scholarship to become a nurse. But she decided to give it a chance and signed up for a prerequisite CPR class. Weeks later, she was riding in a car that came upon a bad auto accident, and Bright helped save her first life, administering CPR until paramedics arrived. Following her graduation from Northern Illinois University, Bright was a nurse at Andrews Air Force Base near Washington, D.C. She later worked at hospitals in Baltimore and Sun City West and was a school nurse at Granada Primary School, south of GCU’s campus. 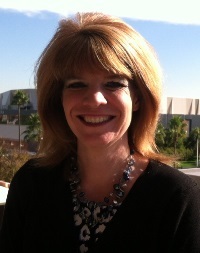 Bright joined GCU in 2013 as an instructor and was named to direct the BSN Pre-licensure program eight months later. She helps students who have concerns about or issues with faculty members by coaching them to work with their professors on solutions that are acceptable to both. That helps students learn important conflict-resolution skills before they enter the workplace. Bright gets her teaching fix by offering student success classes twice a week. She plays the patient, and the students assess and “treat” her. “Nursing is knowledge, skills and attitude, and the best way to teach is to role model how you treat others,” she said. Dr. Juan Hernandez can wield a baton with the best of them. 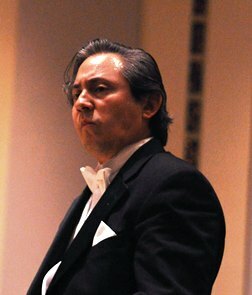 The Yale-educated assistant dean of the College of Fine Arts and Production and director of its Music Department has proved that many times, leading vocalists and instrumentalists from high schools, universities and The Phoenix Symphony. One of the things that makes Hernandez, 44, a true standout, however, is his quarter-century history in church ministry and pastoral persona. He treats all students, whether they are auditioning for a spot in the music program or just about to graduate from it, with the same love and concern. Hernandez, who arrived at GCU five years ago, immediately started a student chaplain program in the Music Department, in which students are named by their peers to attend to their spiritual needs during the academic year. Other parts of COFAP now have started using student chaplains, too, in an expansion being applauded by the University’s College of Theology and Office of Spiritual Life. Hernandez is known for his unfailing support of all parts of COFAP — he conducts the theatre program’s annual opera, attends two dozen student recitals, goes to dance and band concerts and handles rehearsals for and performances of several major choral concerts each year. He directs three groups of vocalists and the University’s orchestra, too. His colleagues describe him as a strong leader, student mentor and exemplary teacher who has poured his life into GCU. Using knowledge, dedication and commitment to Christ, he has built a musical family on campus and exemplifies the spirit of servant leadership. 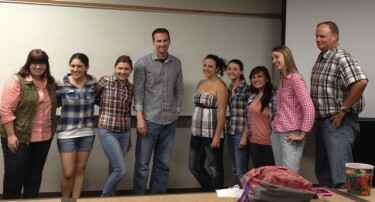 His favorite part of GCU: the students, of course. In the movie “Ray,” actor Jamie Foxx, who portrays jazz/pop/gospel music icon Ray Charles, says he likes country music because it’s about the stories. It’s Isac Artzi’s favorite line in the film and one that he remembers while teaching students in the Colangelo College of Business. Artzi, who has worked in nearly two dozen countries, was part of the distance-learning movement in the late 1990s, working on a team trying to bring education via satellite to thousands of islands in the South Pacific and to Africa. The projects were not always successful because politics and the needs of the local population weren’t always aligned. Artzi makes the story relatable to his students. Artzi is vested in how engineers think as part of a Curriculum Design and Development team that is creating courses for new engineering and computer science programs launching next fall. He wants students to learn and practice extraordinary thinking. For example, one way to weave the University’s Christian worldview into computer science is to encourage students to design apps that aren’t the most expensive and technologically advanced but that readily can be used by people in the University’s neighborhood who might not have the finest or newest equipment. 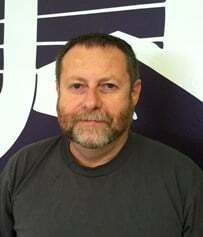 Artzi, who has multiple degrees in math, computer science, and education and instructional design, has been teaching for 32 years. Currently, he teaches students in CCOB’s Bachelor of Science in Business Administration with an Emphasis in Business Intelligence, including Business Statistics and Database Programming courses. His students got so fired up about his teaching that they started a programming club that meets Wednesday evenings (and he’s there, too). They’ve looked at what’s behind creating websites and now are inventing apps. Artzi expects them to hit the ground running when they graduate. Dr. Jim Mostofo cringes at the thought of any of his students walking into their classroom on Day One of their first semester of student teaching with no experience under their belts. He simply won’t have it. So Mostofo, who has been teaching for 24 years, four of them at GCU, started a program at Alhambra High two years ago in which College of Education students in a variety of subjects are guaranteed four practice teaching opportunities. There, they may safely make mistakes, obtain constructive criticism and prepare for the real world. So far, he and colleague Rebekah Dyer have guided 65 GCU students through the experience at Alhambra. All are learning, and seven have landed student-teaching positions at the high school this spring semester. Two have been hired for permanent jobs. It’s a solid bridge between the classroom and workplace gap, which Mostofo, 46, focused on as part of his dissertation. 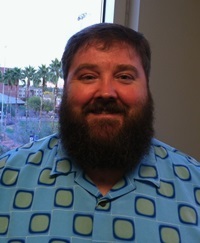 In addition to his Doctor of Education from Arizona State University, he has two master’s degrees, in educational leadership and educational counseling, from Northern Arizona University. He started out with a Bachelor’s of Science in Secondary Education with an emphasis in math from GCU. Mostofo, who grew up in GCU’s neighborhood, recognizes that some of his students have had little exposure to diversity and might need a boost in confidence or just an affirmation that they are doing the right thing. “A few have been a little nervous outside our walls because they haven’t seen much diversity, and I’ve had to walk with a few of them over to Alhambra, but it helps them gain more confidence,” he said. Mostofo, who can be brash, sarcastic and partial to plaid shirts (which students have called him out on), always is himself because, he said, that’s what students respond to. He has noticed more of that among his colleagues on campus this semester than ever before. “The students are bragging about other faculty to me, and it really is one of the best faculties we’ve had since I’ve been here,” he said. Mostofo is known for being among COE’s most active faculty members when it comes to upholding the college’s promise of helping its graduates who are having difficulties during the first year of teaching or leading. He responds to emails from new graduates, recommends them for jobs, and supports first-year teachers, for example, by driving out to their schools to observe them and offer feedback. Ben VanDerLinden loves his students, but once the semester ends he never wants to see them again, at least not in the classroom. VanDerLinden, a faculty member in the College of Humanities and Social Sciences, teaches three of the University’s general education math courses — those that every college student has to pass in order to graduate. Many don’t want to be there. But their affable 41-year-old teacher, who grew up three blocks from GCU and is a graduate of Alhambra High, GCU and the University of Arizona, makes class bearable, if not fun. He starts by asking if any of his students have eaten chicken feet and points out to the disgusted, mostly freshman class that anyone who has eaten a processed chicken nugget or chicken hot dog has eaten chicken feet. Gen-ed math students have unit exams every five weeks (think finals three times a semester), and to improve tutoring, VanDerLinden and his team have created a space where instructional aides offer help 13 hours a day. This week, and every finals week, he and other math teachers also take turns meeting with dozens of students nightly at Peet’s in the Student Union. 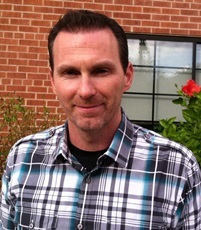 VanDerLinden, who has bachelor and master’s degrees in math, brings his intuition into every tutoring session. He pays attention to the warning signs that his students might be too stressed to focus properly. He sometimes insists they close their laptops and take a walk around campus to clear their heads. “Someone who doesn’t want to be there and is so freaked out about math isn’t going to learn it unless I give them a safe environment, the best space to help them do something they don’t want to do,” he said. That interest in math anxiety led to VanDerLinden’s decision to begin a Ph.D. program in psychology with an emphasis in cognition and instruction last year. He also is interested in GCU’s emphasis on integrating faith and learning and recently gave a faculty presentation hosted by the College of Theology. Teaching is in his genes — his mother, Majorie VanDerLinden, was a longtime instructor who co-founded GCU’s nursing college. She was more “old school,” strict, matter-of-fact and popular with students for her consistency. Her son offers a bit more grace. “If I get an email from a student that they missed class because they were sick, I reply that I pray for God’s healing, peace and rest. And when they’re feeling better, come back and talk to me,” he said. Michael Bodeen is finishing up his first semester of teaching at GCU, and he already has a reputation: He has held so many review sessions for students in his Human Anatomy and Physiology courses and labs that he might as well pitch a tent on campus and save himself the commute. Kyle Simtion (left), a junior premed student, views Michael Bodeen, a faculty member in the College of Science, Engineering and Technology, as a mentor and friend. Bodeen, a faculty member in the College of Science, Engineering and Technology, wouldn’t be teaching human anatomy — and perhaps would not be teaching anywhere — if not for the kindness of someone who crossed his path when he was growing up in Southern California. 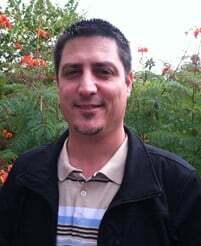 Bodeen is a former electrician with a bachelor’s degree in biochemistry from California State University, Fullerton, and a master’s degree in health professions education from Midwestern University in Glendale, where he did additional work in the osteopathic program. At GCU, he balances his science background with his deep faith by being joyful, not overbearing. But he takes seriously his teaching responsibilities, “beating up” student essays and requiring sometimes as many as three rewrites because grammar and spelling are required in the workplace. 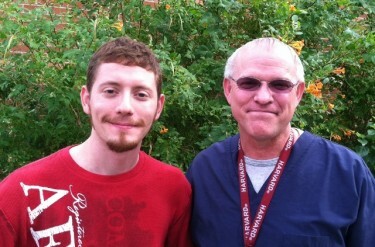 He’s intense during dissections in the University’s cadaver lab, too, and has performed about 70 dissections himself. Bodeen has held open labs for dissection practice all week and throughout the weekends recently, and he tutors all day on Tuesdays. His students are going to work in health care, and that matters. He is aghast that, according to a 2013 study, medical mistakes made in hospitals are the third leading cause of death in the United States, behind heart disease and cancer. Bodeen credits some of his colleagues, including Trevor Nordin, Lindsey Wagner, Jordan Conroy and Victoria Kaarup, with providing those footprints for students. His branch of science, he said, could use more human touch and less professional distance. “I’m interested in people who have a streak of humanity in them and share themselves with their students,” he said. Another great article by our awesome writing staff! Thanks Janie for the great glimpse into what makes GCU so special!